Clark County had a huge Friday night in high school basketball, and the county will have the opportunity at an even bigger Saturday. The Washougal girls basketball team and the King’s Way Christian boys team will get to know what it is like to play for a state championship. King’s Way Christian got a basket from Khalfani Cason with six seconds to play to beat King’s in a Class 1A semifinal Friday in Yakima. A couple hours later, Washougal was celebrating after beating Clarkston in a 2A semifinal. The Prairie girls basketball team also won a semifinal, in Tacoma, and will be playing for the 3A championship. Clark County did miss out on having an all-county 1A championship game. Zillah beat La Center in the late-night semifinal in the SunDome. Here’s how it all went down in Yakima. Kendyl Carson scored 23 points as the Prairie Falcons advanced to the Class 3A girls basketball state championship game. There was a fast start by the Panthers. Then a run by Clarkston. Washougal responded. Then Clarkston got close again. These are the 2019 Panthers, though. They do not rattle. They just play inspired defense, and they just win. Beyonce “Queen” Bea had 21 points, 15 rebounds, and four blocked shots. Jaiden “Killa” Bea added 11 points. Skylar “Worker” Bea had nine points, five rebounds, and two blocked shots. And don’t forget Savea “Beaswax” Mansfield for her defensive pressure. They all helped Washougal get to the Class 2A state championship game. Those nicknames, by the way, come via the team’s social media account. All the games, all the practices, and yes, all the posts and messages, they all count as memory makers on this special journey for the Panthers. Washougal will take on East Valley of Spokane at 7 p.m. Saturday in the Yakima Valley SunDome. The Panthers beat East Valley 52-45 last week in a state regional seeding game. A year ago, after the Panthers were eliminated in the first round, coach Britney Knotts and an assistant stayed in Yakima to watch the rest of the tournament. The coaches were inspired, and their players have followed that lead. “It’s amazing right now,” Knotts said. They earned the right to celebrate, even though there is one more obstacle. In Friday’s semifinal, Knotts said she started feeling really good at about the four-minute mark of the fourth quarter. Her players were executing perfectly. 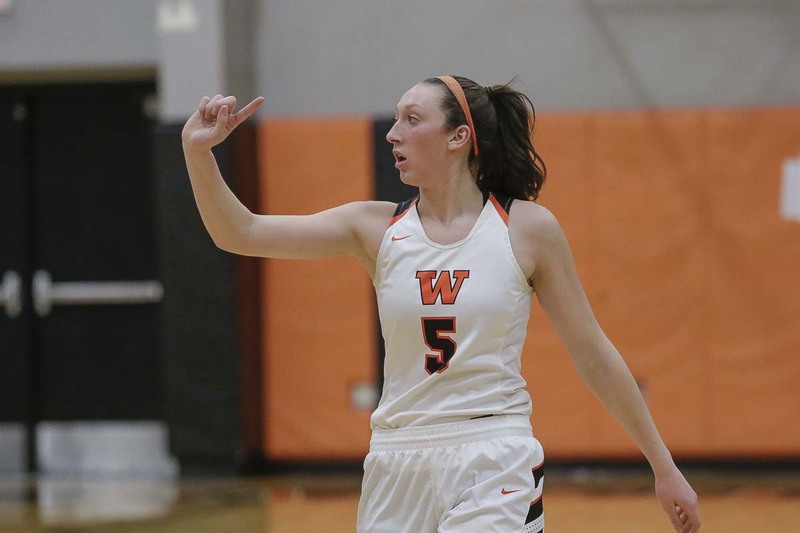 Washougal’s intelligence kept Clarkston from making another run. Of course, it always helps with Beyonce Bea dominating a game. “She was our leader on the court, as usual. She was in control on offense, finding teammates, and crashing the boards. Defensively, she’s so hard to get around,” Knotts said. Call it an outpouring of emotion for the King’s Way Christian Knights. Daven Harmeling kept hearing his players say “I love you” to each other. The Knights are in the state title game. 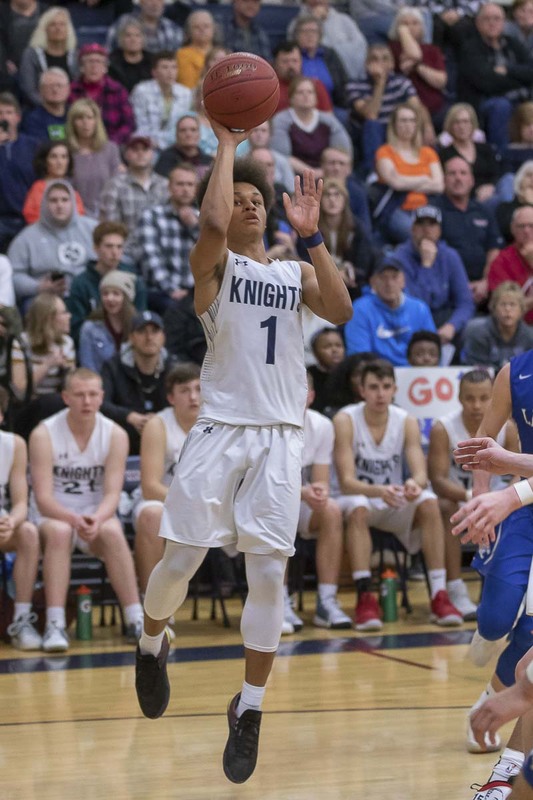 Khalfani Cason hit a shot with six seconds remaining to lead King’s Way Christian to victory in a 1A semifinal at the Yakima Valley SunDome. Cason finished with a team-high 20 points to lead King’s Way, which improved to 19-8 on the season and advanced to the championship game for the first time in program history. Oh, and Cason did it just a day after suffering from a separated shoulder than kept him out of most of Thursday’s quarterfinal game. Harmeling said Cason got medically cleared to return to basketball just before Friday’s semifinal. “Very Khalfani-esque,” Harmeling said of the senior, who is all about team, doing whatever he can for the team. King’s Way led 33-32 heading into the fourth quarter. King’s would take the lead at 39-37, but Bryce Dodge responded for King’s Way to tie the game at the midway point of the quarter. Defenses took over again, and in the final minute, Eyon Zevenbergen made a free throw to give King’s a 42-41 lead. The Knights turned the ball over, but King’s would miss two free throws with 20 seconds left, giving Cason time for his game-winner. “That was the most challenging game I’ve been a part of,” Harmeling said, noting that he had to remind his players they were fine during all the timeouts in the fourth quarter. It was real, and the Knights could celebrate Friday’s victory. The Knights shared their feelings with one another, and then the team got another memory. A senior from King’s, Hunter Reeves, who missed on his team’s final shot, waited patiently while King’s Way Christian freshman Bryson Metz was being interviewed by the media. Reeves told Harmeling that he wanted to congratulate Metz. Metz, by the way, finished with 10 points for King’s Way Christian. Now, there is one more game for the Knights. Playing on the road in Yakima, they will really feel like a road team in the championship game. Zillah, about 20 miles from the SunDome, packed its sideline for the semifinal win against La Center. The Knights also had to play the Wednesday elimination game, so Saturday will be their fourth game in four days. “We’ll see what we’ve got left in the tank,” Harmeling said. The comeback bid was so, so close for the La Center Wildcats. Down 10 in the second half, they managed to get within two points with seven minutes to play only to see Zillah score the next six. It was rally time again, and again, La Center got it to two points, this time on a 3-pointer by Hunter Ecklund with 29 seconds left in the game. Zillah, though, made the free throws that mattered, sealing the semifinal victory. La Center will take on King’s in the third-place game at 1 p.m. Saturday. Ecklund finished with 19 points to lead La Center. Avery Seter added 16 points, and Colby Shaw scored 11. Evan Norris grabbed nine rebounds. Columbia River had its season come to an end with a loss Friday in the consolation bracket of the 2A state boys tournament at the Yakima Valley SunDome. The Chieftains led 19-16 when Caden Dezort hit a 3-pointer with 4:29 remaining in the first half but Clarkston closed the second period on an 11-0 run to take a 27-19 lead at halftime. Dezort hit another 3-pointer to pull Columbia River to within five points at 45-40 with 51 seconds left to play in the game but that was as close as the Chieftains would get. Evan Dirksen had 15 points and five rebounds to lead Columbia River, which finished the season with a 22-5 record. Dezort finished with nine points, making all three of his attempts from behind the 3-point line.